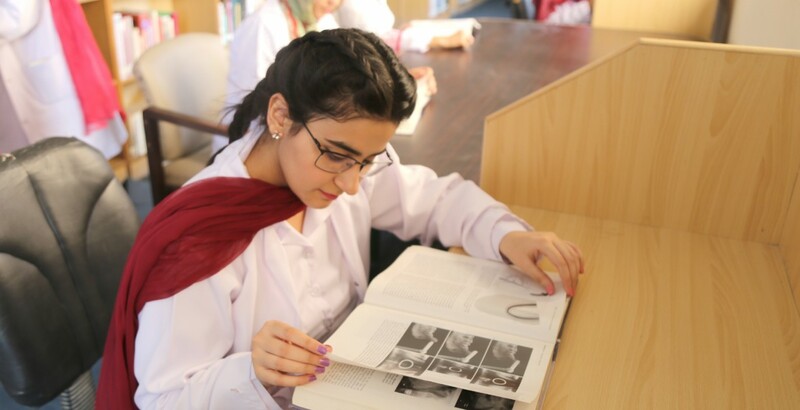 The college library consists of a main hall, which is spread over 3000 sq. feet. The Assistant Librarian is available in the main library all the time. 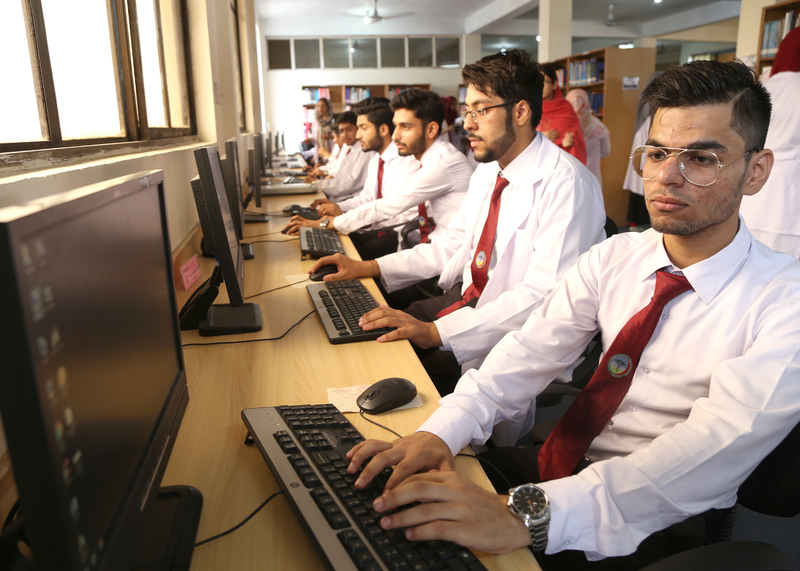 The library timing are from 0800 Hrs to 1500 Hrs during the regular working days, while before and during the examinations, the library remains open till 1600 Hrs daily. 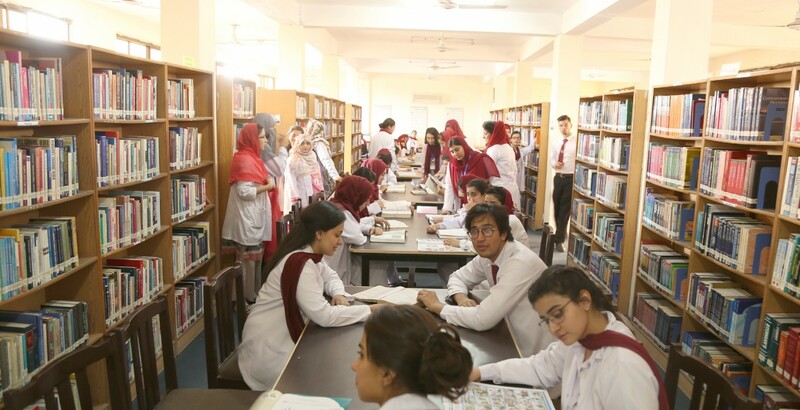 It is a well stocked library with the latest professional books and journals covering all biomedical and clinical sciences. 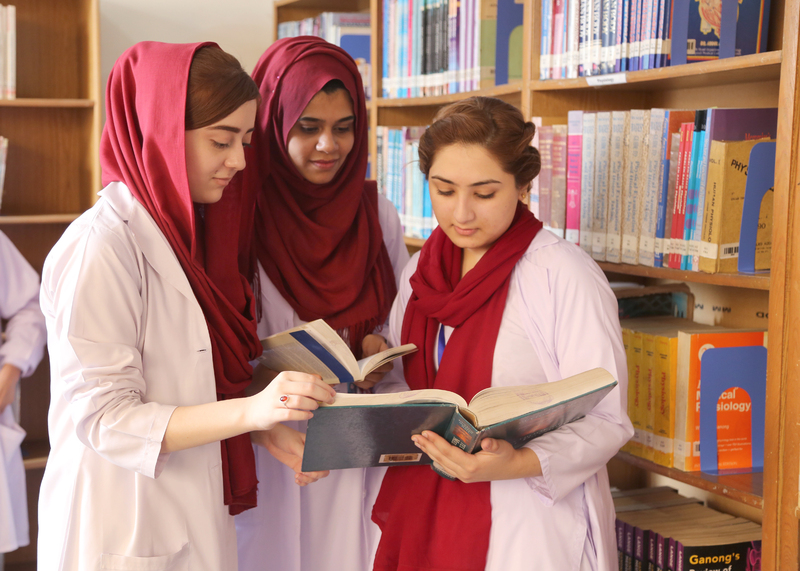 A digital library access is also available to both the undergraduate and post graduate students which comprises a dedicated link from Higher Education Comission (HEC) and has all the latest journals and periodicals.